Australian Saddle, Ringer Poley with horn, merino wool lined medium tree w/suspended web seat for ultimate comfort, 16” (15” western). Never been used. 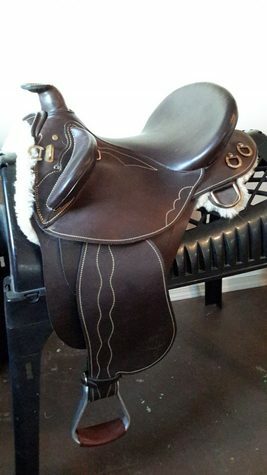 Made by Porters Saddles Australia.